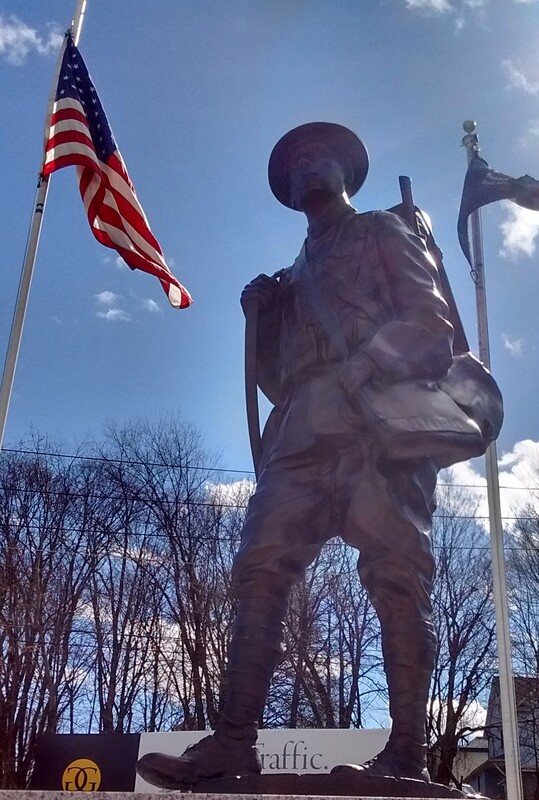 A nationally designated WWI Centennial Memorial in Dunmore, PA | Friends of Fort Caswell Rifle Range, Inc. The Friends of Fort Caswell Rifle Range continue to receive photos of supporters’ ancestors who served in World War I; therefore, the World War I Wall of Honor is continually being updated. 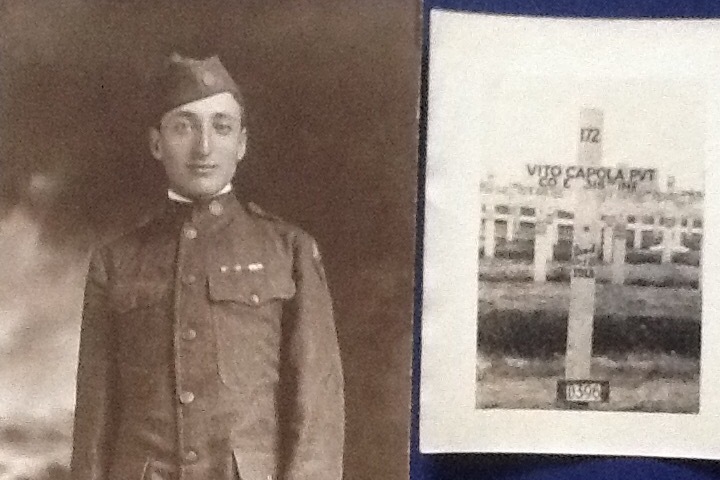 Recently, photos of four ancestors who served were received from Jane Del Rosso-Freach, including her great-uncle, Vito Copola from Dunmore, PA, who tragically died of pneumonia on October 18, 1918, a week after being gassed in battle. All four photos were added to the World War I Wall of Honor here. Soon after, the 1918 Fort Caswell Rifle Range was designated a National WWI Centennial Memorial. 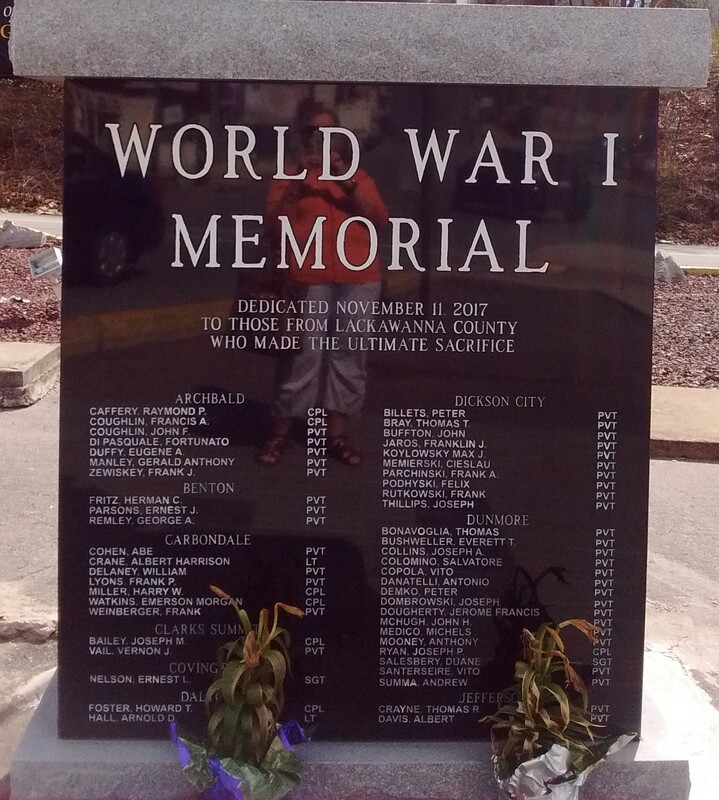 While scrolling through the list of all 100 memorials chosen for national recognition, a familiar name jumped out: Dunmore, PA.
After a quick search, it was exciting to discover that Jane’s ancestor was honored at the World War I memorial in Dunmore. In fact, his name was etched on the memorial! And this memorial shared the same national honor as our own rifle range. Jane graciously visited the memorial and took some photos. It is touching to see the names of those who gave their lives on the memorial. The Friends of Fort Caswell Rifle Range began to wonder if the 24 Brunswick County men who gave their lives in World War I could be honored on the monument that is planned onsite at the rifle range. The original plan was to etch all of the names of those who served, until the discovery of 725 veterans! A booklet of some sort is now planned. The estimates for the memorial have not yet been received; no decision can be made until then. But seeing the names etched on the Dunmore, PA, memorial can deeply affect those who read them and help show the real cost of the war. They are also a reminder of the many, many more who served and did come home, but were affected in ways we can see, such as the physical disabilities, and ways we can’t, such as psychological scars and family members who suffered while they were away. The 24 known Brunswick County men who gave their lives are listed below.